The holiday break is nearly here and students often feel like it's their chance to let loose and not think for a week or two. However, we both know that it's better for them to at least do some reading during the break to help keep their brains sharp. For students who find reading challenging, choose a book you can read aloud to them, or an audio book you can listen to together while preparing food, traveling, or puzzling. Grab some titles from the school or public library this week or find some e-books or audio books on Epic, Overdrive, or Audible. Here are some titles that I've enjoyed lately. 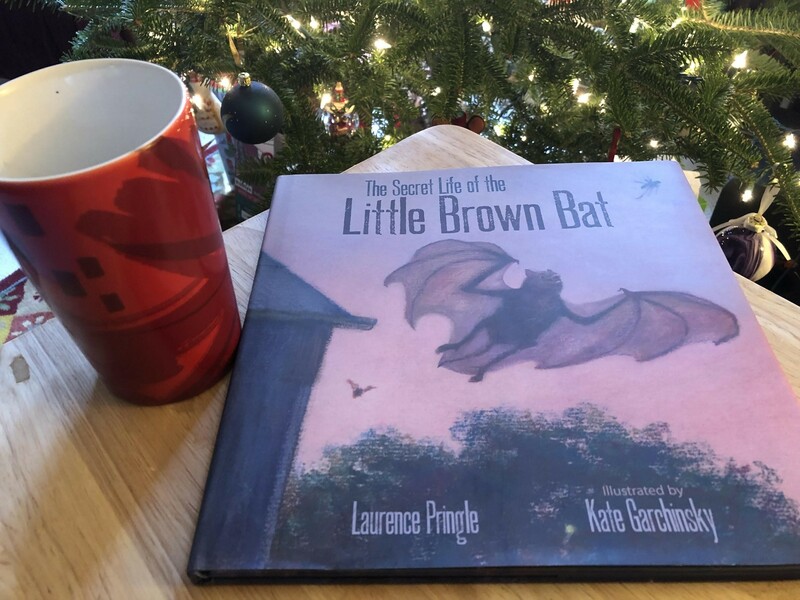 The Secret Life of the Little Brown Bat by Laurence Pringle, an informative and lively book that teaches children all about brown bats. Features gorgeous illustrations by my good friend Kate Garchinsky. Chef Roy Choi and the Street Food Remix by Jacqueline Briggs Martin. For all the foodies out there, a fun exploration into Korean cuisine and street food in LA. The Poet's Dog by Patricia McLachlan, a heartwarming, charming and short novel about two children and a dog, set in a snowy cabin in the woods. This would make a great read-aloud. Wishtree by Katherine Applegate, a book about a special tree that watches over a neighborhood and the children who befriend her. Out of My Mind by Sharon Draper, a novel about Melody, a brilliant girl with cerebral palsy who refuses to be defined by her difference. Dreadnought by April Daniels. I really enjoyed this novel about a transgender teen superhero who is getting comfortable with herself and her powers as she saves the world from a powerful villain. Scythe by Neal Shusterman, a fascinating premise in which no one dies anymore and teens are selected as scythes, members of society who glean (kill) people to keep the population under control. Challenger Deep by Neal Shusterman. A complex, intimate, and excellent portrait of a teen dealing with mental illness.